Many people struggle to get in shape because they cannot stay motivated to exercise. It can be a struggle to work out every day. Fortunately, there are several ways that you can stay motivated. Better health and weight loss are some of the benefits that come along with exercising on a regular bais. However, those benefits are not enough for many people to stay motivated to exercise. That is why you should reward yourself for staying motivated to exercise. For example, if you consistently work out for a month, then you can reward yourself with a massage or a staycation. Studies have shown that people who work out with someone are more likely to stick to their routine. When you feel like skipping your workout, your friend can give you the motivation you need to work out. Working out with someone will make it easier for you to complete your workout. You will have more fun while you are working out because you will be able to talk to someone. You can also sign up for a group fitness class. Many people get frustrated because they do not see results as quickly as they like. You may not see results if you set your goals too high. That is why it is important to set reasonable goals. For example, losing 20 pounds in a month may not be a reasonable goal. However, you may be able to reach that goal within three or four months. It is also important to give yourself enough time to reach your goals. If you set reasonable goals and keep track of your progress along the way, then it will be easier for you to stay motivated. As strange as it may sound, buying fun workout clothes can make it easier for you to stay motivated. If you see your stylish workout clothes, then you may look forward to your workouts. Look at options from companies like Over Under Clothing and similar businesses. 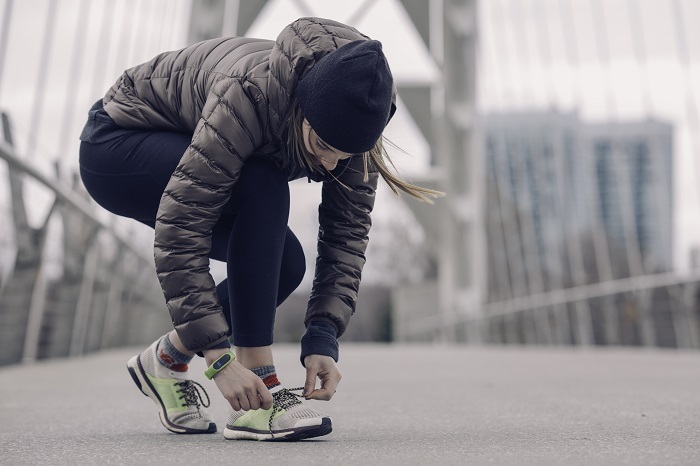 You should take your workout clothes out the night before so that you can be reminded to schedule your workout in the morning, evening or afternoon. Staying motivated to exercise is not always easy. However, you can make it easier by setting reasonable goals, working out with a friend and rewarding yourself. You will also need to fill your closet with cool workout clothes.